Please find below an overview of most of our available systems. Our stock changes continually, though we try to update our stock list as good as possible, it is always possible that some of the systems shown below are not available any longer. If you have equipment for sale or want your equipment to be listed, please inform us. With this Buhrs Sigma Pick and Place feeder you can quickly and easily place cards, bags, samples, credit cards, CDs, coins and three-dimensional products on a principal product, for example on a magazine. It is a great piece of technology! Buhrs Sigma Pick and Place feeder, the well-known feeder is independently powered and can be installed anywhere above a conveyor track. If desired, it can be integrated in the controls of the main machine. The Buhrs Sigma Pick and Place feeder drives a rotor with three suction cups. The suction cups picks up a product from the magazine in idling position, and then releases it above the principal product in a rotating motion. The Pick & Place Basic and the production machine run fully synchronised at all times, so the conveyor belt with the principal products on it does not have to be stopped. 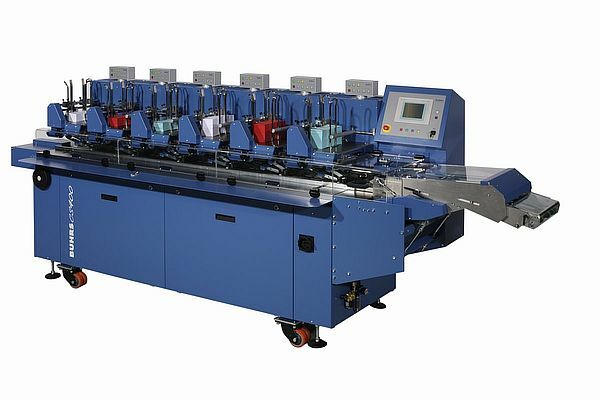 The fully-automatic Mosca bundle-cross strappingsystem cross-strapping solution for the Printing Applications and Publication. This strapping solution can be placed directly behind any envelope inserter, filmwrappingsystem and collating gathering machine. 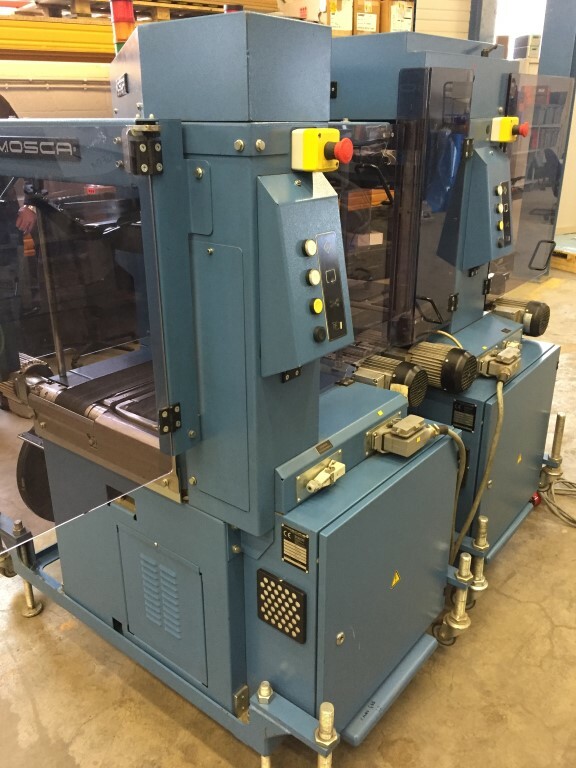 This Mosca bundle-cross strappingsystem uses the latest to provide the highest level of accuracy currently available in the strapping machine industry. With 30% fewer parts than comparable strapping machines, the Mosca bundle-cross strappingsystem requires fewer adjustments, has fewer wear components and requires less maintenance. The simple design of this machine makes maintenance training far easier than previous strapping machines. Production date june 2011, never installed / used, so brand new. The Buhrs addressing systems Buhrs VS4 and Buhrs VJ4 can be operated either stand-alone or in-line. The Buhrs VS4 is the label applicator capable of applying upto 30,000 labels per hour depending on the system configuration and product dimensions. The Buhrs VS4 can also be equipped with the inkjet printing head to print on the applied labels. 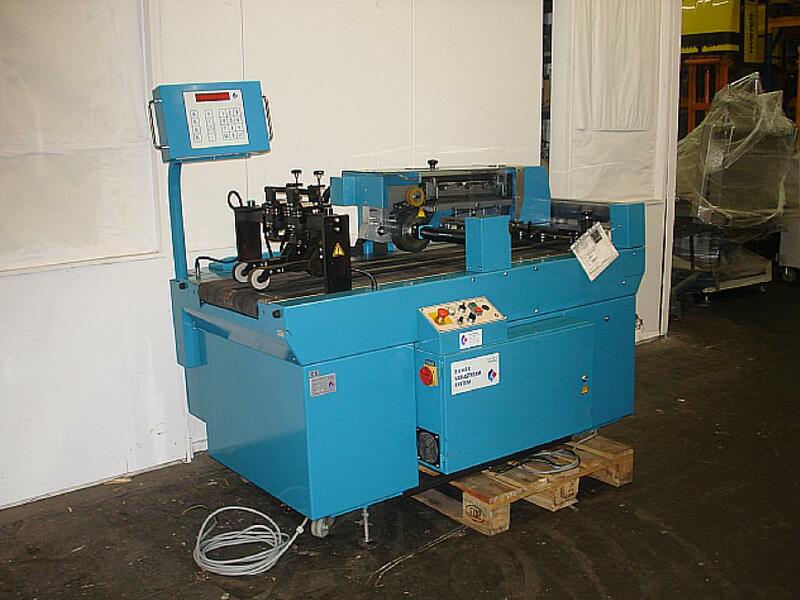 The Buhrs BRF Rotary feeder can be used for almost all Buhrs filmwrappingsystems. 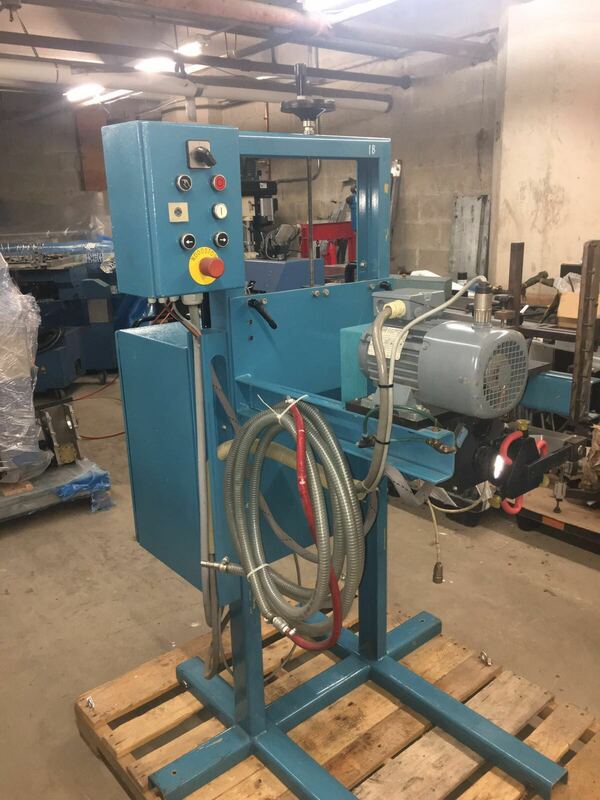 The Buhrs BRF rotary feeder fits on the gathering trace of a Buhrs 1000, a Buhrs 1500, a Buhrs MTR, a Buhrs 2000 as well know as a Buhrs MTR and a Buhrs 3000 filmwrappingsystem. The Buhrs Rima RS10 Compensating Stacker can be integrated in all kinds of finishing equipment for such as stitching,, collating and filmwrappig systems such as the Buhrs, CMC as well as Sitma filmwrappingsystems. This Buhrs Rima RS10 Stacker is immediate available from stock.